Notes: Local in woodland, gardens, parks, marshes and other damp areas throughout much of England, with records north to southern Scotland. 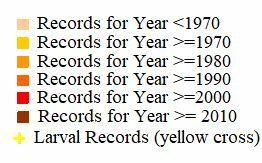 In Hampshire and on the Isle of Wight apart from obvious population centres around Leckford and Portsmouth, only scattered records elsewhere. Wingspan 4.6-6 mm. Imago closely resembles S. salicis, but is slightly smaller, the basal half of the forewing is more coarsely scaled, the fascia is narrower, angled, more central and less oblique and the line before the pale cilia is darker and more regular (MBGBI Vol 1). 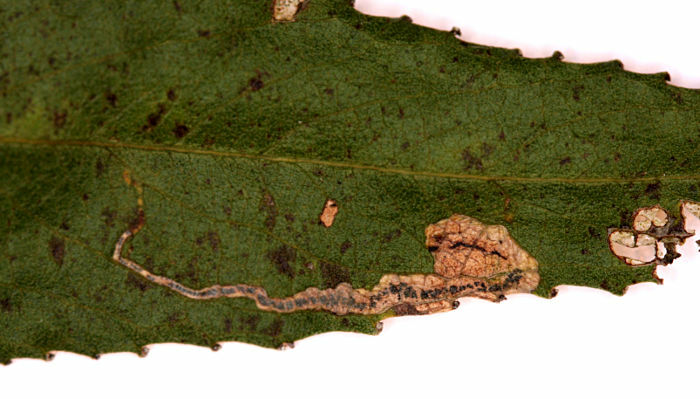 Adults difficult to distinguish from other Stigmella species, and more frequently recorded in the larval stage, when mines are relatively easy to find where they are present. Larva mines leaves of Crack Willow, White Willow and Osier, over-wintering as a pupa.